Logos are one of the most popular graphic design items that we can see everywhere around us. Every product and service has its company’s logo imprinted which is the first thing a customer sees. From being a business symbol to becoming a brand identity, logos have come a long way. Being an integral part of marketing strategies, logos now come in different types. Make sure that your business logo design suits to your company’s image and personality. When you start a business, one of the first things to ensure that you have a memorable logo. This is because your business logo will serve you in many ways. It will become your company’s business identity. People will recall your business when they look at your logo in advertisements, in a market, on products and elsewhere. In fact, there are many reasons why small businesses need logos. Therefore, make sure that your business logo looks unique and impressive on your products. It must appear great on all marketing and advertising materials. It must tie well to your other branding efforts. You must know about the thoughts and emotions your target customers will feel when they look at your logo. 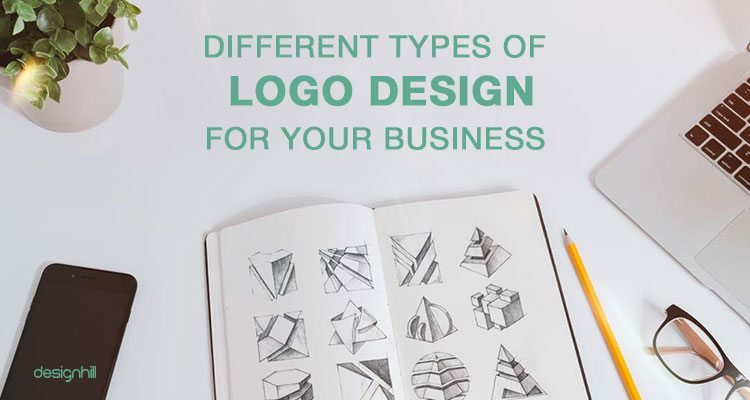 So, you must be sure of the type of logo you want to have for your business. There are actually different types of logos that the designers create these days. You should carefully select a particular type of logo that conveys your brand’s personality. Lettermarks logos are also known as monogram logos. You have probably noted the logos of IBM, CNN, HP, and HBO. 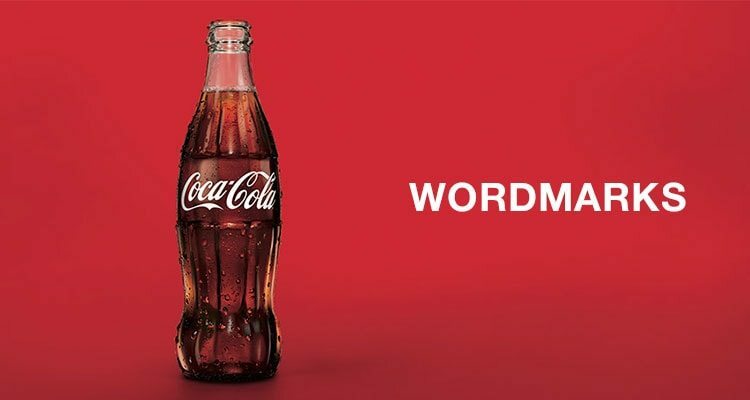 These famous business logos are excellent examples of lettermarks. They are created in the form of initials of the company names. The aim here is to shorten the lengthy company names with 2 or 3 words used. The initials are designed to create brand-identification. These monogram logos perfectly represent their organization. A lettermark logo design is based on clever use of typography that has a few words. This type of logo is usually an example of simple logo design as only a company’s initial is used as a main design element. So, if a company’s name is too long, a lettermark logo would be a good option when it comes to picking a logo type. For example, instead of National Aeronautics and Space Administration, NASA is much easier to remember. Hence, the company’s logo is in its initial letters. Wordmarks logos are known also as logotypes. These logos are similar to a lettermark. 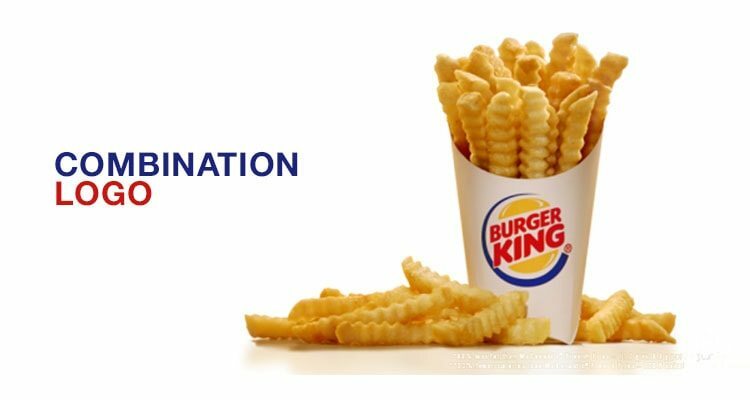 A wordmark logo design is based on a business’ name alone. These are font-based logos. One of the finest examples of such logos are that of Coca-Cola and Visa. An experienced logo designer will go for wordmark logo when a company has a distinctive name. Google’s logo is another example. When a designer uses a strong typography to create wordmark logos, it helps build a strong brand identity. Often, a designer has to decide if a wordmark logo or a symbolic logo is better for a company. This is because both these logo types speak precisely for a business. A logo designer’s focus will be on selecting a typeface carefully when creating a wordmark logo since the emphasis is on a company’s name. Many designers prefer creating a font especially for one such logo. This way, they can capture the essence of a what a business stands for. For this reason, most of the fashion labels have wordmark logos. These logos have elegant fonts to express high-end products of the companies. Known also as pictorial marks, logo symbols or brand marks are graphic-based logo designs. 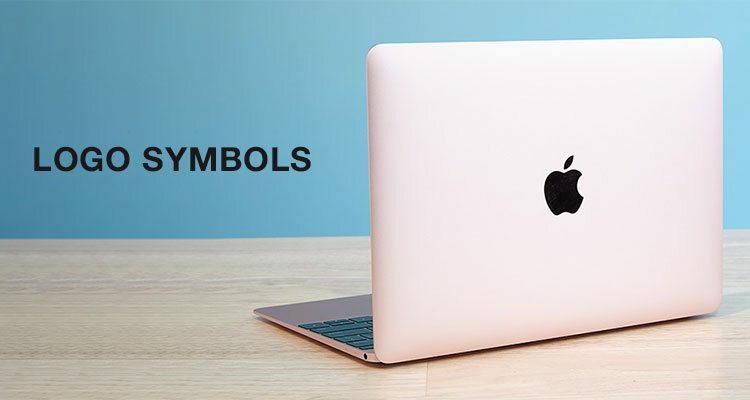 A bright example of such logos is iconic Apple logo. The Twitter bird logo and the Target bullseye logos are also inspirational examples. Since these brands are now well established and recognized, their logos hold iconic status. For new companies, however, to have a symbol logo can be tricky as they do not have strong brand recognition. When you have decided to have a pictorial or symbol logo for your business, make sure that the image you choose is relevant and impressive. This is one of the crucial tips to design your logo. Remember the symbol will stick with your company. So, think about the image you select for your logo design. You can play with your company name to create a symbol. Or you can settle for a symbol that has a deeper meaning. An abstract logo mark uses an abstract image and is a specific type of pictorial logo. Usually, instead of a recognizable image, these logos have abstract geometric forms. 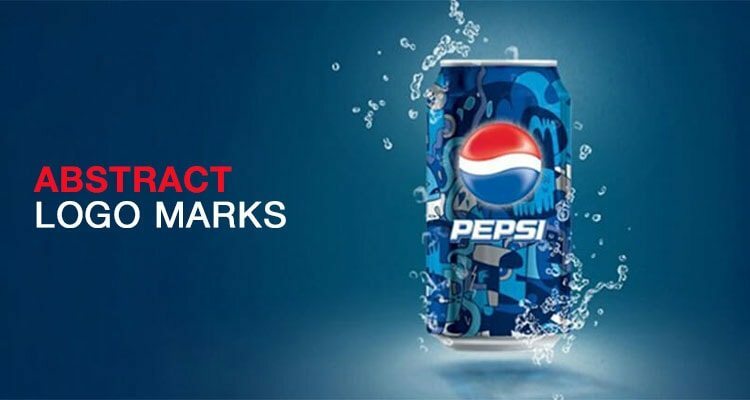 The Pepsi divided circle is an example of such logos. The adidas flower logo is another great example of an abstract logo mark. Abstract logo marks are preferred when the designer intends to condense a brand name into a single image. But there are some recognizable abstract logos. Such logos have a recognizable image created as an abstract image. One of the benefits of an abstract logo mark is that you can symbolically convey what your company stands for. You do not have to worry about the cultural implications of a specific image you use for your logo. Nike logo is an example of such a logo that expresses freedom and movement. The mascot logo is mostly used for creating some fun in the design. So, if you want to create your own brand person using your logo, then go for this type of logo. 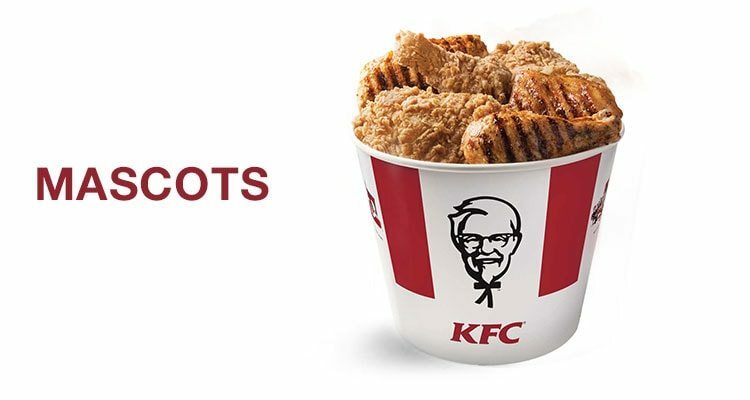 The KFC logo and Mr Peanut logo are great examples of the logos from the mascot logo category. You create a character to represent your company and business. These characters then become the ambassador of your company. Sometimes mascot logos are also seen as dynamic logos. Mostly, the companies that want to target families and children as their customers opt for mascot logos. These logos create a wholesome atmosphere. You might have noticed how mascots create a dynamic atmosphere at a sporting event. A combination mark logo uses the elements of wordmark and abstract mark logos. There is a combined use of a pictorial mark, letter mark, and mascot logo elements. In these logos, the designer uses picture and text side-by-side laid out in the design. Mostly the picture and text are stacked up on top of each other. Burger King and Lacoste logos are the finest examples of combination logos. A combination mark logo is a versatile choice because of the involvement of the image and text. Both the text and picture or mascot work together for building a strong brand image. Another advantage is that people start associating your company name with a mascot or pictorial mark. Both these elements of picture and text create a distinct image together and helps in brand recognition. So, these are the key types of logo designs. Which one of these logos will suit best for your company logo will depend on a lot of factors. Your brand message and brand personality will play a key role in deciding the type of logo for your business. When thinking of creating a memorable logo for your business, an option to explore is that you crowdsource your logo work. There are many advantages of crowdsourcing for small businesses. You get your winning logo design at an affordable price so that there is no burden on your small budget. You get access to many new design concepts from many logo designers. You can actively interact with your designers to get a customized logo. Designhill is a leading crowdsourcing platform for business owners to avail several graphic design services such as logo design, website design, etc. All you need to do is to launch your logo design contest at this site and get a logo worthy of representing your business. The site gives you 100 % Money Back Guarantee if you do not like the design entries and want your entire money back. There are different types of logo designs. Mostly, a business logo can be categorized into lettermarks, wordmarks, pictorial, symbolic, and combined logos that have elements of both the symbols and text logos. A company should opt for a particular type of logo after considering its brand personality.